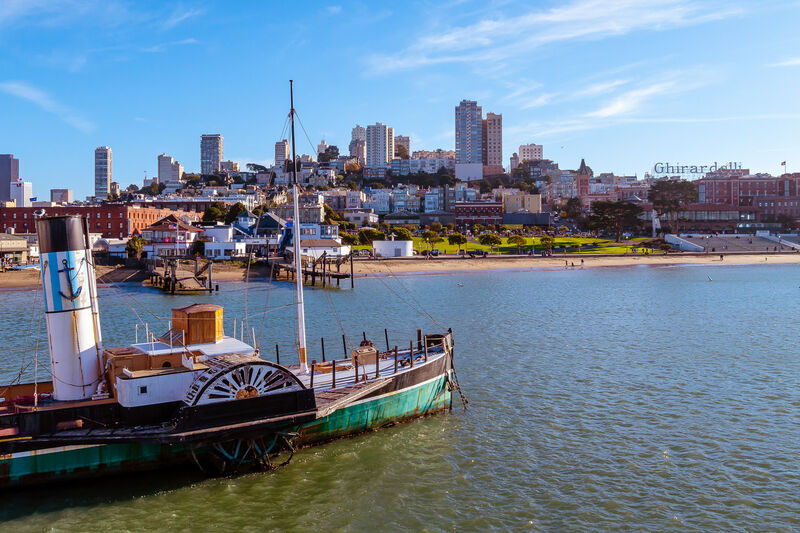 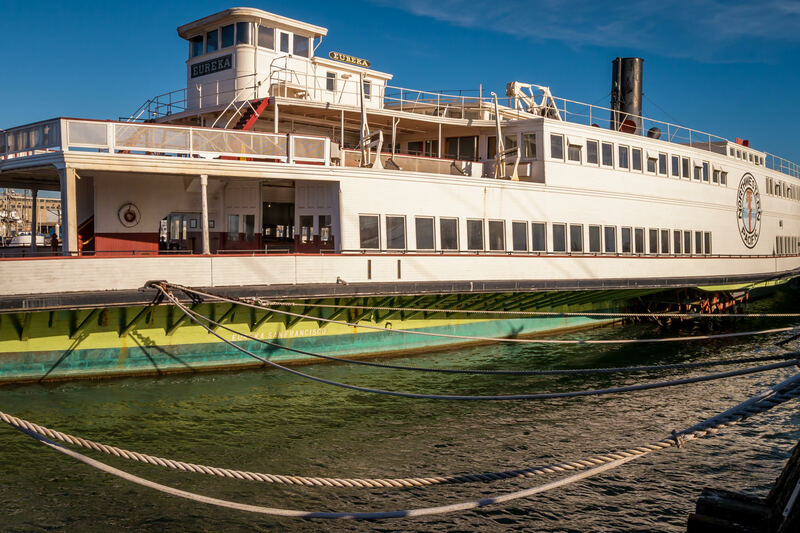 The 1890 side-wheel paddle steamboat Eureka, which originally carried passengers and railcars between Tiburon and San Francisco and now resides in that city’s San Francisco Maritime National Historical Park. 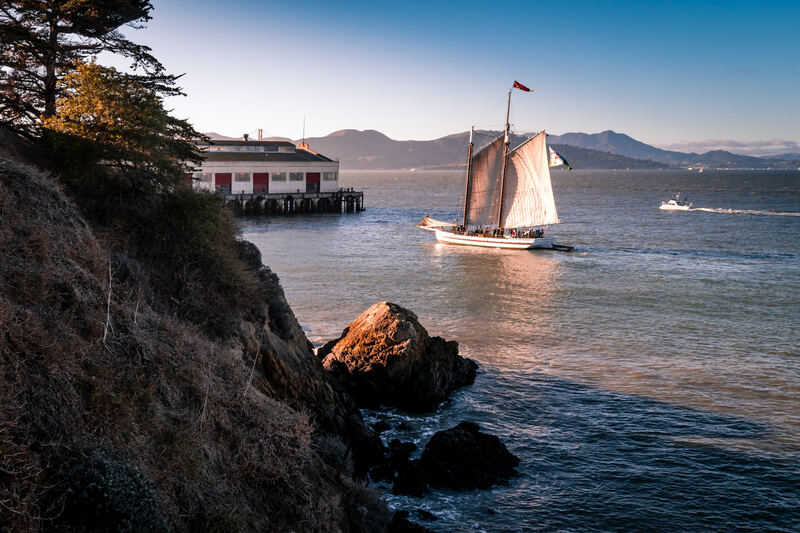 The 1891 scow schooner Alma, in the collection of the San Francisco Maritime National Historical Park, sails near the Festival Pavilion at the Fort Mason Center for Arts & Culture in San Francisco Bay. 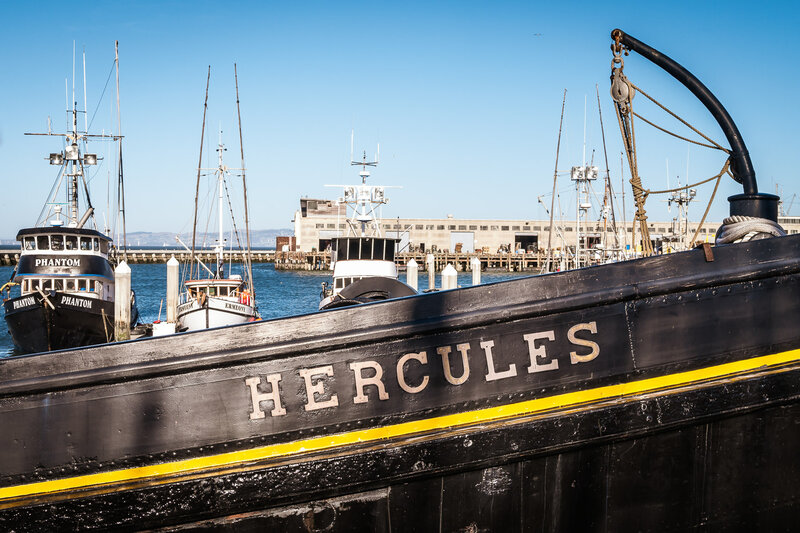 A few of the historic boats, including the 1885 lumber schooner C.A. 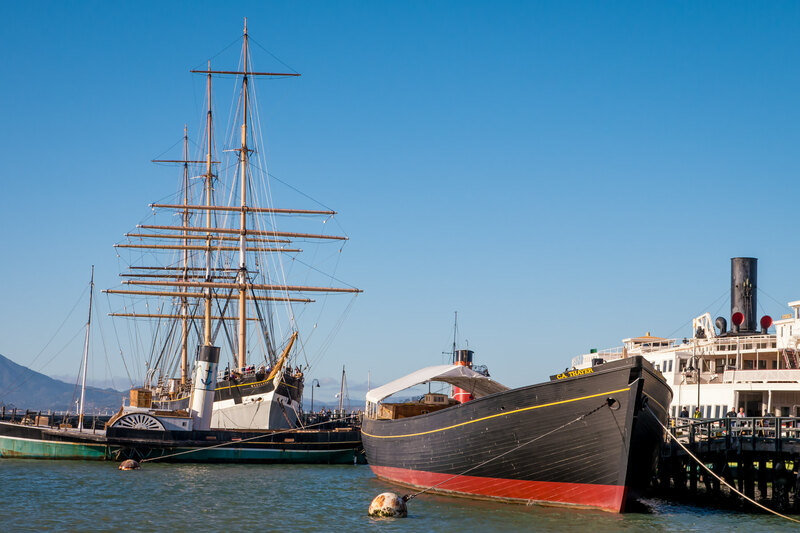 Thayer, the 1914 paddlewheel tugboat Eppleton Hall and the 1886 square rigged Balclutha, on display at the San Francisco Maritime National Historical Park. 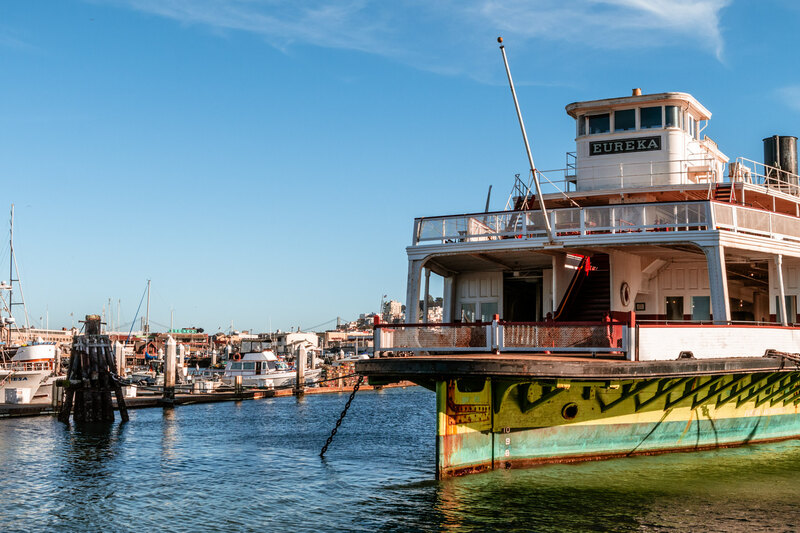 Detail of the1890 side-wheel paddle steamboat Eureka, which originally carried passengers and railcars between Tiburon and San Francisco and now resides in that city’s San Francisco Maritime National Historical Park. 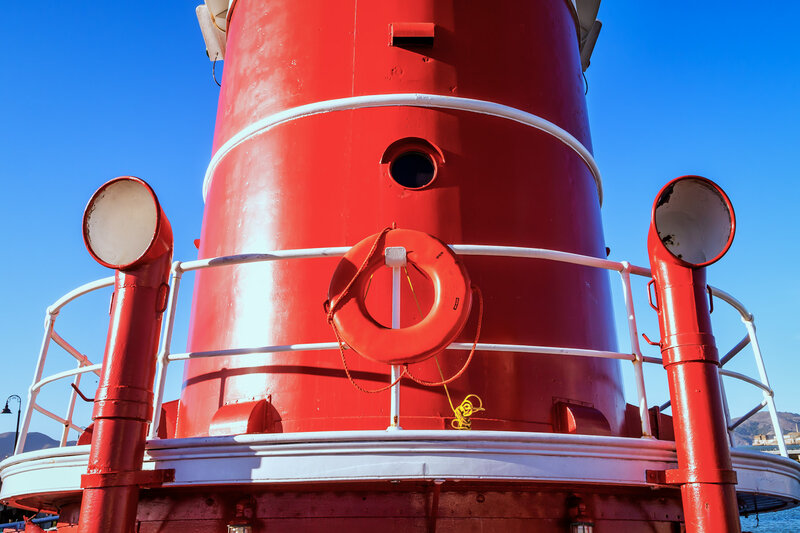 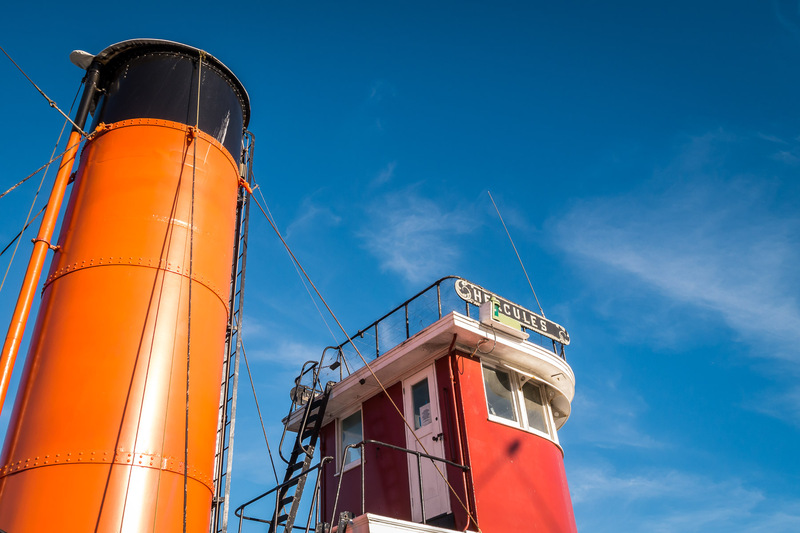 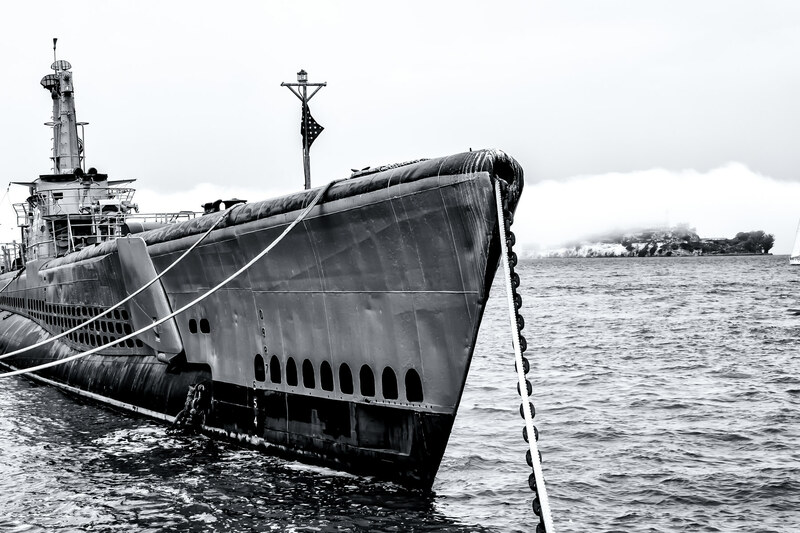 The bridge and funnel of the 1907 Hercules, a tugboat now moored at the San Francisco Maritime National Historical Park at Fisherman’s Wharf. 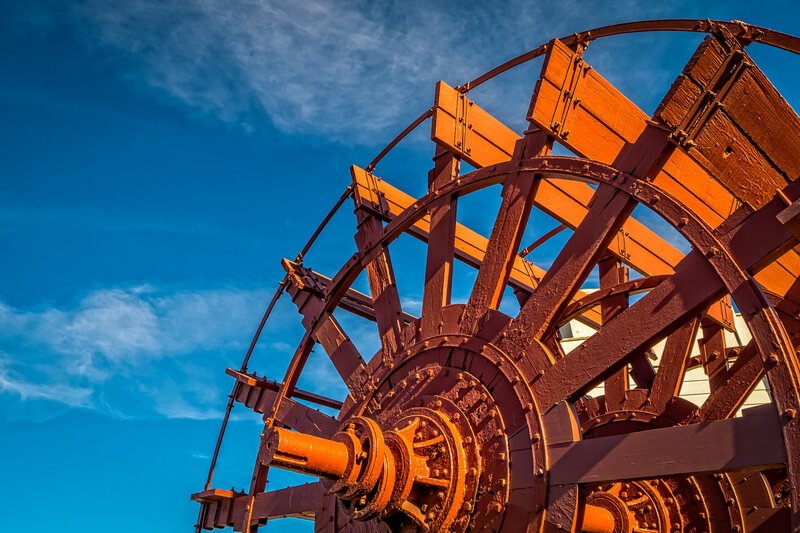 An old steamship’s paddle wheel on display at San Francisco’s National Maritime Historical Park.